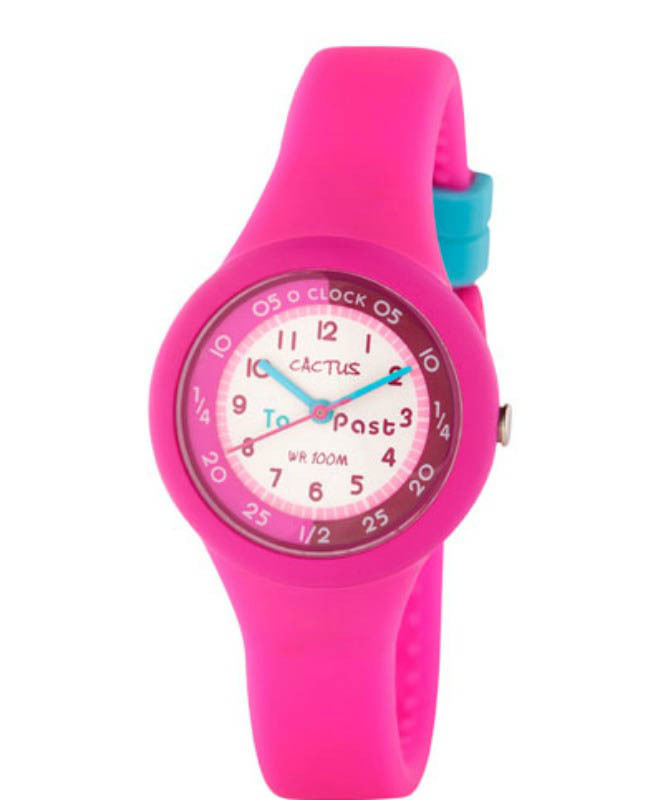 This bright & colourful time teacher has markings for 1/4 and 1/2 as well as To and Past on the dial, and inner ring markings from 0 to 30 on the right side,with reverse markings up the left side [to read 25 to 10, 20 to 10 etc]. 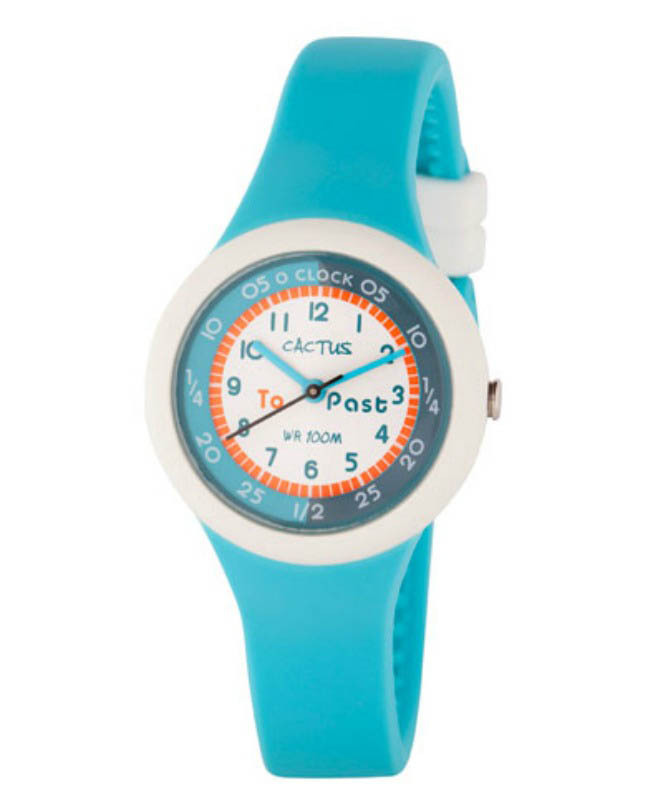 It is super comfy with a silicon band plus you can wear it in the pool as it is 100m waterproof. 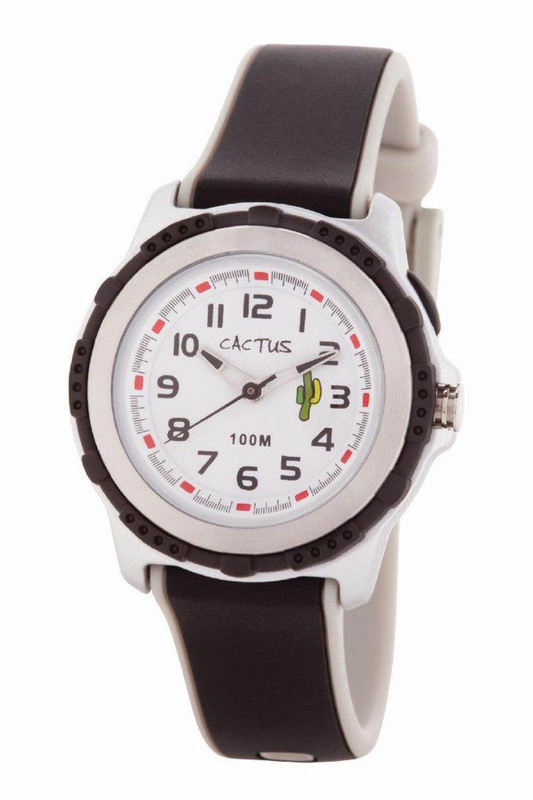 Your CACTUS watch is warranted to be free from defects in materials and workmanship for a period of 1 year from date of purchase.The warranty covers all manufacturing and mechanical defects, but excludes bands, batteries, and lens damage. The warranty excludes water damage in watches that are specifically excluded from immersion in water [showering and swimming].